1. 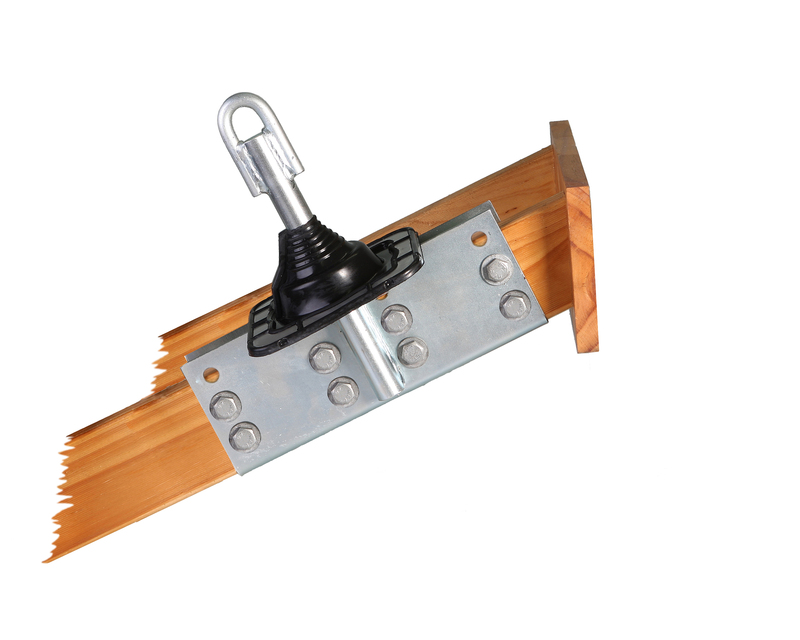 Remove roofing tiles or lift roof sheet to achieve an opening to fit the Roof Extenda Safety Anchor Bracket. 2. Bolt angle bracket section an flat plate sandwiching the selected rafter at approx. 300 mm from the roof's ridge with a minimum of 8-M12 Hex Bolts, Nuts and Washers (Not supplied). 3. Replace roof tiles of roof sheet cutting holes to allow the roof to penetrate the roof. 4. Slide Weather Seal over the loop and down the shaft. Ensuring roofing area is clean and dry, mark the position of the weather weal on the roofing. Apply clear neutral cure silicone inside the area marked, press and shape the the Weather Seal into the roof profile, finish with a bead of silicone to all edges of the Weather Seal to complete the fitting.